The ThinkPad Hybrid USB-C with USB-A Dock (40AF) expands the capabilities of most any laptop, new or old, making it perfect for enterprise customers with mixed-PC or shared-desk environments. 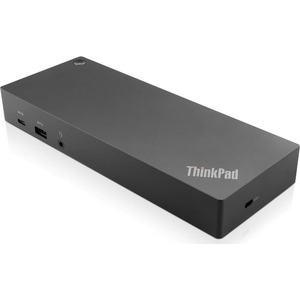 Featuring enterprise-class manageability like PXE boot and MAC address Pass-through the ThinkPad Hybrid USB-C with USB-A offers three high-speed USB3.1 ports, up to dual UHD 4K resolution and rapid charging on ThinkPad notebooks. And, with the included USB-C to USB-A adaptor it can also provide port replication to non-Lenovo or USB-C notebooks.